We’re excited to announce our list of the Top 50 Cloud Accountants of 2018 in North America! 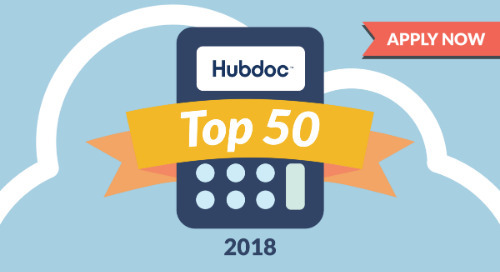 This is the fifth year we’ve released our annual Top 50 list, which aims to recognize accounting and bookkeeping firms in North America who are setting an example when it comes to leveraging cloud technology. 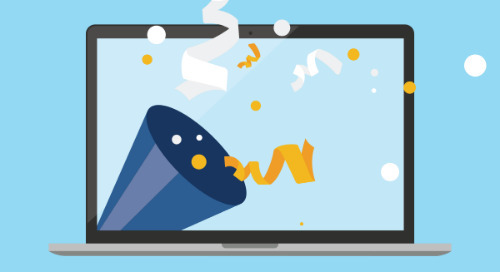 We received hundreds of applications for this year’s list, many of which included exciting stories showcasing how cloud technology has enabled both advisors and their clients to reach their goals. 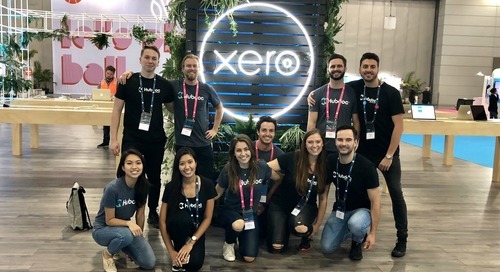 We are incredibly impressed by the amazing work that advisors across North America are doing to empower small business owners, and by how far the accounting community has come in the past five years! Please give a virtual round of applause to our list of this year’s Top 50 Cloud Accountants in North America! Nayo is committed to helping small businesses succeed by “making accounting a little less taxing”. Being a small business owner herself, she knows what it takes! “Small business owners have the most passion. They are driven to do what it takes to be successful, and I want to make sure that I help them get there,” says Nayo. 1st Step Accounting uses tools such as QuickBooks Online, Hubdoc, and Expensify to help their clients better understand their business’s financials so they’re better equipped to reach their goals. Congratulations, Nayo! AccountingDepartment.com is on a mission to “provide enterprise-level, expert outsourced accounting services to small businesses nationwide so that they may have actionable insights into their financial data and make growth-focused decisions.” Bill and his team love witnessing their clients’ “aha moments” when they implement their cloud systems suite and teach them how to analyze and leverage their business data. We’re excited to see how AccountingDepartment.com continues to empower small businesses! Cristina is a small business superhero, a marketing guru, and now, a five-time member of Hubdoc’s Top 50 list! Cristina continues to do incredible work for her clients with cloud technology, proving year over year that she’s one of the top cloud accountants in North America. Accountingprose is committed to doing right by both their clients and employees by focusing on helping clients achieve success and creating incredible experiences for their team. Congrats, Cristina – we love your approach to keeping people first! Acuity continues to push the boundaries with cloud accounting technology, leveraging tools such as Xero, QuickBooks Online, Hubdoc, and Karbon to better serve their clients. 2018 was an exciting year for Acuity – just a few weeks ago, they launched a paperless tax practice. They also started working with New Story, a non-profit that builds sustainable communities in impoverished areas, providing them with bookkeeping, accounting, and CFO services so they can successfully scale and have a larger impact. Thanks for giving back to the community, Kenji, Matthew, and team! After being named as the 2017 Global Firm of the Future by Intuit, Juliet, Steve, and their team continued to fulfill their mission to educate and empower both small businesses and the bookkeeping community – and they’re just getting started: “There are so many goals that we want to achieve! The main one would be to widen the scope of businesses that we are able to assist. We feel that cloud technology levels the playing field for small businesses and gives them access to information and solutions that were previously only available for the big enterprise level companies.” Now that’s cloud leadership! Rafael Alvarez, Arthur Garcia & Joel Lacayo, ATAX Franchise, Inc.
As a leading provider of small business services for over 30 years, and with 40 locations across the United States (and growing! ), ATAX continues to have a huge impact on small businesses across a number of industries. Among their client success stories this year, they were able to facilitate growth for a client who focuses on transforming children’s learning capabilities. We’re excited to see ATAX continue to have a positive impact on the community! Since launching Bean Counter 4 Hire in 2015, Michael and Mindy have proven to be wizards of automation! Tools such as Xero, Hubdoc, Veem, and Float have enabled them to help clients reduce costs, improve operations, and expand globally. Next year, they plan to supercharge their YouTube channel, where they’ll share helpful tips, app reviews, and other resources targeted to help small businesses succeed. Cheers, Michael and Mindy! Back on our list for the fifth year in a row (! ), Cindy and the Beyond Balanced Books team continue to leverage technology to make a meaningful impact on their clients’ lives. In 2018, Beyond Balanced Books was awarded Xero’s Partnership Impact Award (in conjunction with Hubdoc!). We’re excited and humbled to be part of Cindy’s carefully selected app stack – here’s to many more years of cloud collaboration! Lisa is on a mission to make bookkeeping interesting and fun for her clients so that it’s more relevant to their businesses, and so they’re able to do more with their business insights. Her cloud tech stack includes tools such as QuickBooks Online, Futrli, Hubdoc, and Plooto. This past year, Lisa tackled some impressive marketing goals for her business including launching a new website and rebranding her firm to Bonfire Bookkeeping. Congrats, Lisa! We’re excited to see what you accomplish in 2019! As a Xero Platinum Partner and two-time winner of Xero’s Partner of the Year award, it’s easy to see why Bookkeeper360 has made our Top 50 list for five years in a row! Nick and the Bookkeeper360 team are on a mission to “educate and implement technology to improve efficiency and help small businesses grow”. They currently use tools such as Bill.com, Veem, Gusto, and WorkflowMax to increase efficiency, and they’re always looking for cutting-edge ways to improve their client experience with the cloud. Congratulations! Best-in-class accountants and bookkeepers understand the importance of defining a niche, and Daniel has managed to do so with huge success! Having formerly owned his own painting business, Daniel is uniquely positioned to help painting businesses streamline their back office. Leveraging tools such as QuickBooks Online, Hubdoc, Bill.com, Gusto, and Asana, Daniel has helped his clients save time and increase profitability, enabling them to “paint their financial future”. Jelena is proof that you can have your clients’ backs, even while traveling the world and completely eliminating paper! Cloud apps such as Hubdoc, Plooto, and Karbon allow Books LA to provide an incredible client experience, regardless of location. Better yet, Jelena is committed to continuing to learn about the expanding app landscape: “We are excited about innovations to come and automating even more tasks in the future so that we can help our clients.” Awesome! Jag and the Capex CPA team are on a mission to “move all small business client accounting to the cloud”, and they understand the importance of having a well-thought-out tech stack to do so: “Currently, our model is very simple. 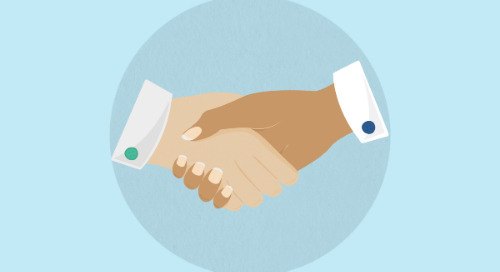 If a potential client wants to work with our firm, we set them up on Quickbooks Online or Xero and Hubdoc.” According to Jag, his team’s extensive knowledge of cloud accounting technology makes them look like rock stars to their small business clients – and we couldn’t agree more! Rock on, Jag and team! Catching Clouds is on a mission is to make ecommerce businesses better. 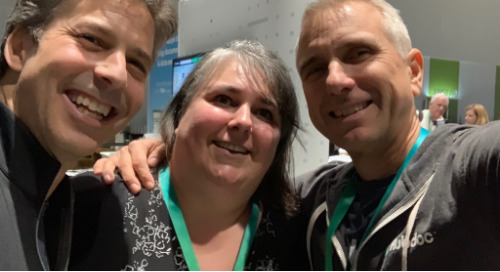 With a team that operates entirely remotely and a 100% cloud-enabled technology stack, Patti and Scott are more than just leaders in ecommerce accounting – they’re cloud accounting trailblazers! In 2017, the team launched Catching Clouds Academy, which provides awesome training resources for ecommerce business owners and their accountants. 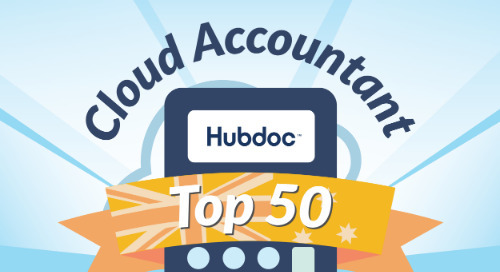 Congratulations to Catching Clouds for being a member of the Hubdoc Top 50 for a well-deserved five years in a row! It’s been a huge year for Tanya and the Cloud Bookkeeping Services team! This past year, Cloud Bookkeeping Services achieved the enormous honor of being named as Intuit’s 2018 Global Firm of the Future. Tanya and her team understand that the bookkeeping community is better when knowledge is shared: “Our passion is training and giving other business owners a hand up, whether they are bookkeepers or small business owners.” Thanks for lending your expertise, Tanya! Marco and Mohammad founded CloudCPA LLP two years ago to break free of traditional accounting best practices and empower entrepreneurs by simplifying their accounting, bookkeeping, and tax processes. To accomplish this, they use today’s technology to provide a state-of-the-art client experience and focus on exceptional customer service. Now, they’re a QuickBooks Platinum ProAdvisor and leverage apps such as Fathom, Hubdoc, and Wagepoint. Next year, Marco and Mohammad want to focus more on providing educational content to business owners to share their cloud knowledge and further empower entrepreneurs. Awesome! One of the great things about the cloud is that it can help small businesses get a grasp on their finances, regardless of location. 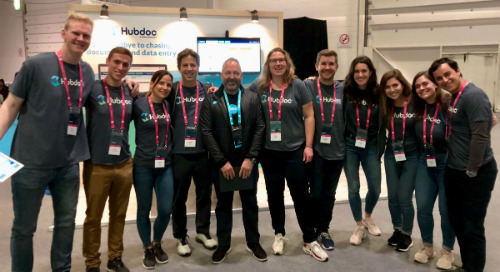 When a client from a remote area of Canada reached out to ConnectCPA for help, Lior, Mike, and the ConnectCPA team knew just what to do: “We were able to implement Xero and Hubdoc in addition to a suite of other cloud apps.” The results? “This has led to enormous time savings on the operational side of the business and has also increased turnaround times for accounts receivable. They are a different company now than they were a few months back.” We’re excited to see ConnectCPA continue to push the boundaries with cloud technology! CPA4IT leverages cloud technology to provide innovative and fun ways to help clients find their financial peace of mind. Over the past few years, Andrew and the CPA4IT team have focused their efforts on creating highly automated workflows to help their clients increase efficiency. In 2019, CPA4IT plans on taking their workflows to the next level with Zapier. Andrew also applies CPA4IT’s mission on social media, where he regularly engages with the accounting community in fun and innovative ways. Follow Andrew on Twitter here! Marloes founded Day2Day Books four years ago to fulfill the need for bookkeeping services in Golden, British Columbia. A pioneer in cloud technology, Day2Day Books is now able to leverage their cloud tech stack to serve rural communities all around BC, which has increased efficiency for both the firm and their clients. “It’s way better than bringing a whole shoebox across the mountains to hand over at the end of the year,” explains Miranda. Congrats to Marloes, Miranda, and the whole Day2Day Books team! Marvin and the Double Rule team have more than 15 years of experience helping businesses thrive by building better client relationships and improving their clients’ accounting with the help of cloud technology. 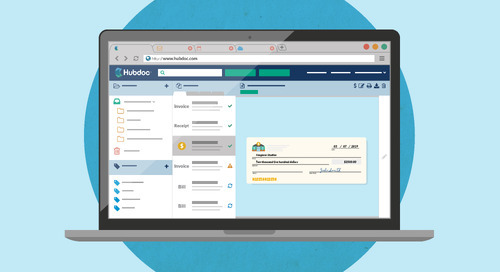 Double Rule uses tools such as Xero, Futrli, Bill.com, and Hubdoc to enable their clients to save time and make smarter financial decisions. This year, they were able to help one client cut costs by 40% with cloud technology! Learn how Marvin adopted technology and a new business model to help him build Double Rule in this Xero Unplugged video. When it comes to cloud savviness, Aaron Berson is a force to be reckoned with! Aaron is a Xero Ambassador, President of the Manhattan/Bronx Chapter of the New York State Society of CPAs, and was honored as one of CPA Practice Advisor’s ‘40 Under 40’ honorees for 2018. With expertise in leveraging a wide variety of cloud accounting tools, there's no wonder why EisnerAmper is succeeding in their mission to leverage technology in everything that they do. We can’t wait to see what’s next for Aaron and his team! Emmerman, Boyle & Associates is on a mission is to provide the best client experience while leveraging technology at every opportunity. As the Xero Ambassador for the Northeast, David regularly shares his cloud knowledge with the accounting community, and also contributes to publications such as AccountingWEB and Insightful Accountant. The Emmerman, Boyle & Associates team uses tools such as Xero, Hubdoc, and Bill.com to automate bookkeeping tasks and provide valuable advice to their clients. Congrats, David! Entreflow Consulting Group specializes in providing accounting and bookkeeping services, HR consulting and recruiting services, and QuickBooks implementation for growing companies. Helina and her team operate 100% on the cloud, using tools such as Fathom, Hubdoc, Plooto, and Dryrun to streamline their workflows. Staying on top of the app ecosystem and promoting awareness about the latest apps is also a priority for Entreflow. Subscribe to their YouTube channel for accounting app reviews (i.e., their “Appy Hour” videos), insights on the accounting industry, and more! David and the team at ENVOLTA are dedicated to finding solutions that fulfill the daily accounting needs of their customers. All 25 team members are certified in cloud apps such as Xero, QuickBooks Online, Fathom and Hubdoc. As a leader in cloud technology, David understands that education is key to remaining ahead of the curve: “Our goal in 2019 is to keep learning and leveraging our app partners, and to automate more processes for our clients – essentially, to do more data validation rather than data entry.” Awesome! 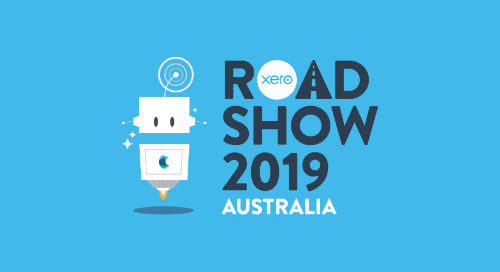 It’s hard to believe that Cecilia and Natasha founded Flow CPA just two years ago – they’re already serving dozens of clients and were selected as Xero’s Emerging Partner of the Year in 2018! So, what’s next for Flow CPA? “We are partnering with Mohawk College to develop a software application that will help freelancers and micro-businesses get more organized with their finances, and provide them with all the tools required to use 100% cloud accounting technologies to run their businesses.” We’re excited to see Flow CPA continue to innovate in 2019 and beyond! Fogged In Bookkeeping understands the value of keeping people and relationships paramount in the age of automation. “Using training and support systems for staff and customers, as well as infusing our purpose into all aspects of our culture, we will become a trusted and valued resource as we bring clients into the next wave of accounting technology,” explains Meghan. Meghan is also an active member of the bookkeeping community – we highly recommend you follow her on Twitter! Richard, Sharon, Glen, and the Gadowsky & Associates team have helped many clients transition from their “tried-and-true” spreadsheets and desktop software to the cloud – and with great success for both their firm and their clients! “For the client, cloud technology has resulted in more accurate bookkeeping records, more timely information, and fewer moments of confusion trying to figure out the expense that was bought eight months ago. For us as a firm, cloud technology has resulted in a better flow of information, more time to review year-to-date balances, and a happier client who knows all of their receipts have been scanned and saved and safely stored.” Way to go, team! Victoria, Trevor, and the GBA LLP team deliver incredible client experiences by leveraging cloud technology such as QuickBooks Online, Hubdoc, Plooto, Wagepoint, and 17hats. However, they understand that tech cannot do it alone – they also focus on building a “team” mentality. As stated on their website: “We take a slightly different view to most other firms when it comes to the ‘TEAM’. You see, our view is simple: the TEAM comprises of US AND YOU, not just us.” Congrats, Victoria, Trevor, and team! Helping clients move to the cloud is a daily occurrence for Shelly and the GCT Technology & Accounting team – and they’ve proven time and time again that no job is too tricky! “We had a client come to us with a shoebox and didn't even know where to start. They were feeling frustrated and overwhelmed. We set them up on Hubdoc, Xero, and Bill.com, helped them to achieve a paperless back office, got their accounting caught up, and are able to keep the accounting up to date so that they can make better business decisions.” Cheers, Shelly and team! Back on our list for the second year in a row, Hawkins & Co. Accounting continues to set the bar high when it comes to leadership in cloud accounting technology! 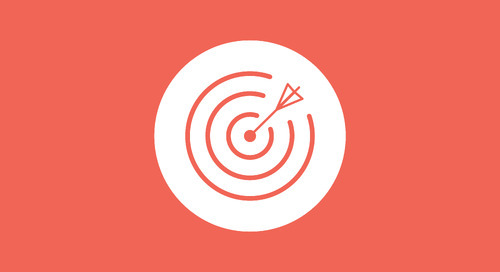 From helping their clients implement advanced (yet easy!) 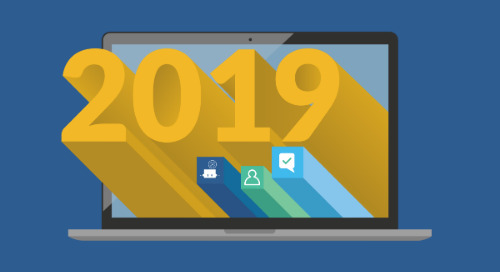 cloud systems, to teaching cloud accounting workshops, it’s clear that Allison, Jules, and the Hawkins & Co. team are going to continue to do great things in 2019 and beyond. 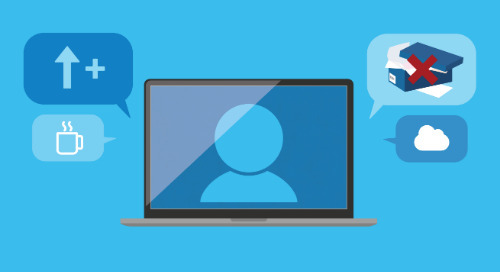 To hear Allison’s expert insights on workflow standardization, watch our webinar: Standardizing Your Bookkeeping Workflows to Fuel Efficiency. Since meeting Rod Drury (founder of Xero) back in 2011, Bruce has led HPC Technology Group and HPC CPA to become a leading global advisory practice. A few years ago, HPC closed their physical office space and now operate entirely remotely, enabled by tools such as Xero, Hubdoc, and Karbon (to name just a few). This past year, HPC was acquired by Aprio, which has allowed them to better serve global entrepreneurs and achieve their mission to be the most tech-savvy, competent, global business consultants, advisors, and accountants. We’re excited to see Bruce and Alexandra continue to make waves with cloud accounting technology! Insogna CPA leverages an advanced accounting technology stack to help their clients achieve their goals: “With our tech stack of 20 different technologies, we're able to provide updated financial and reporting information quicker so business owners can act on that information and make real-time decisions,” explains Chase. Moreover, they also lead by example and adopt cloud technology at their own firm, enabling employees to achieve work-life balance and reach their own firm’s goals. Congrats, Chase and team! LiveCA LLP has become a model for modern cloud accounting practices in North America. Their forward-thinking approach and commitment to learning new technology have enabled them to grow their team to more than 60 employees and consistently deliver incredible experiences to their clients. “Any firm can use an app, but without dedication to education, collaboration, and respect amongst the team, it’s nearly impossible to be a true expert,” says Chad. Congrats on making our Top 50 list for five years in row, Chad and Josh! Jennie Moore & Brian Moore, Moore Details Inc.
Jennie and Brian each uphold all the traits of a cloud leader, including tech savviness, leadership, and dedication to bettering the community (to name just a few!). Jennie and Brian continuously prove that they're dedicated to doing what’s best for their clients, living their values, and supporting their peers. Check out Jennie’s YouTube channel, where she shares her insights and adventures with cloud bookkeeping. Stay cloud-y, Jennie and Brian! ‘Mission Possible’ is the simple (but powerful!) mission driving Mulrooney & Associates – and it’s inspired by their own journey to the cloud. 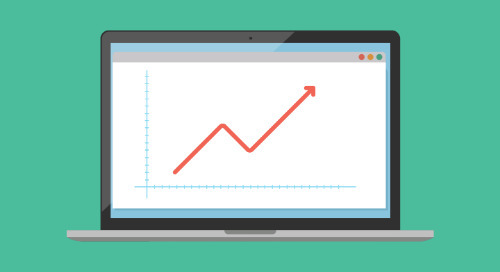 “As a bookkeeping firm with roots that date back to last century, the concept of cloud conversion was as scary for us as it sometimes still is for customers also contemplating a move from traditional platforms.” Carrie is a pro when it comes to explaining the value of the cloud to clients – read some of her tips in this blog post! As a true cloud leader, Sherrell has a thorough understanding of Nitram Financial Solutions’ clients’ needs and is always looking for ways to improve their lives with cloud technology. This past year, she was able to help many of her clients by implementing automated payroll technology, such as Gusto and QuickBooks Online Payroll. “We have a few clients who are on weekly payroll. We got them to switch over to the full-service payroll, which saves them time and creates more efficiency,” explains Sherrell. Sherrell is also a prominent social butterfly – follow her on Twitter and read some of her tips for getting involved with the accounting community here! 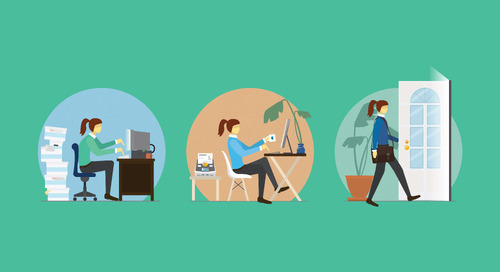 Officeheads’ vision is to help every entrepreneur get out from behind their desk and do what they love to do. Their mission is to provide impeccable bookkeeping, accounting, and financial analysis services so they can operate financially healthy companies. Earlier this year, Rebecca and her team were able to help one business owner completely transform how they managed their business, taking their operations from disorganized, paper-based processes to being able to manage just about everything from their mobile phone. Next up, Officeheads plans to create educational content to further empower business owners. Keep up the amazing work, Rebecca and team! Peter is incredibly passionate about helping small business owners pursue their passion. “So many people get into business to pursue their passion, and so often, CPAs and accountants don’t really help them in this regard because they let their lives become really complicated. We want to simplify that,” explains Peter. The team at Peter Holtz CPA uses cloud apps such as Spotlight Reporting, Veem, and Hubdoc to streamline their workflows. Learn more about how Peter empowers his small business clients with proactive advice in our on-demand webinar! Polay+Clark’s mission is to help creative minds build sound financial futures. 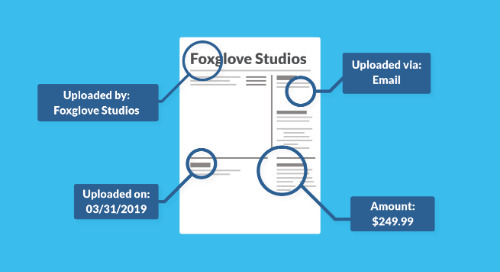 Tate and the Polay+Clark team regularly help their client roster (which consists of pro athletes and award-winning artists) get a better handle on their finances, using tools such as Xero, Futrli, Hubdoc, ShareFile, and Gusto to do so. Read more about Tate’s journey with cloud technology in our case study: How Polay+Clark Increased Flexibility & Transparency by Transitioning to the Cloud. As a thought leader in the accounting space, Hector works to empower both his clients and the accounting community. Quick Bookkeeping offers training courses for QuickBooks Online and Hector is the host of QB Power Hour, a free biweekly course for accounting professionals. Recently, Hector was also able to help a client go on a month-long vacation by empowering them to delegate payroll responsibilities to their office manager (with the help of cloud technology, of course!). Congrats, Hector! Redmond Accounting's mission is to automate and optimize accounting processes using the latest technology solutions so they can give clients the information they need, when they need it. 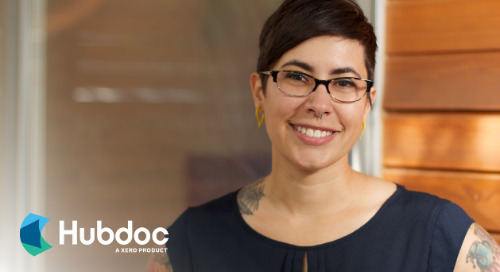 As the founder of Redmond Accounting and the co-creator of Aero Workflow, Laura is passionate about leveraging cloud solutions to make businesses better. Congrats on making our list again, Laura! 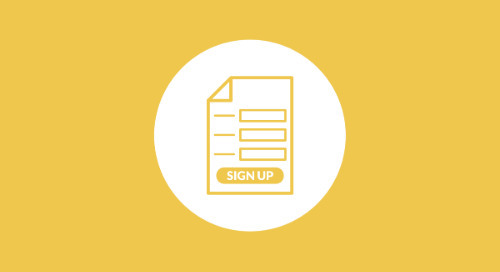 Say Yes to Profits is a virtual CFO and outsourced accounting firm that specializes in helping businesses increase cash flow, boost profit margins, and accelerate growth. Octavia is passionate about helping her clients to succeed by fuelling growth – and the results speak for themselves: “Our mission is to help our clients to consistently grow by 50% or more, month after month. 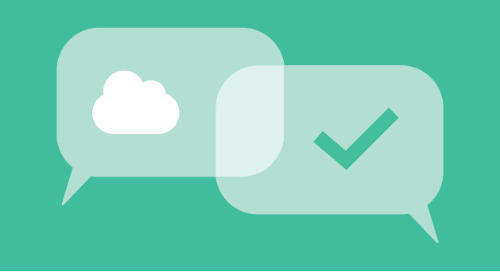 So far, we’ve been able to do just that – with cloud technology, of course!” says Octavia. Octavia is also passionate about empowering female CEOs. She is currently running an educational program to provide women with the skills they need to succeed in business. Thanks for all your incredible work, Octavia! Lea and the Sterling Tax & Accounting team are on a mission to provide value to growing businesses. 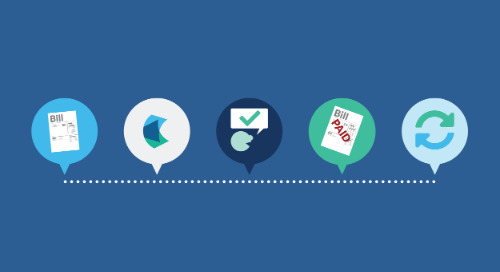 Cloud accounting technology helps them to achieve this – as one example, they were able to streamline bill pay for one of their clients: “Their office staff sends bills to Hubdoc and publishes them to QuickBooks Online, which then syncs to Bill.com. 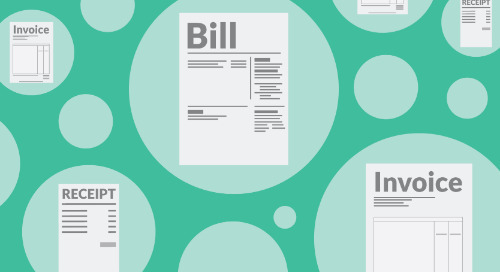 The manager and owner must approve the bills, and our staff schedules the payments. This system provides checks and balances to safeguard the client’s finances while allowing bills to be paid in a timely manner, no matter where they are.” Awesome! Leslie Jorgensen founded Supporting Strategies in 2004 with the vision of becoming the go-to resource for outsourced bookkeeping and operational support services. Since then, Supporting Strategies has expanded to multiple franchises throughout the United States, and uses cloud technology such as QuickBooks Online, Fathom, Hubdoc, and SmartVault to deliver amazing experiences for thousands of clients across the country. We’re excited to see Leslie continue to blaze the trail with cloud tech! When it comes to helping her clients succeed, Tammatha knows that it’s all about having a deep customer understanding – and that’s one of the traits that makes her a cloud leader. “If you focus on your customer, and you focus on their needs, their pain points, and their stumbling blocks, you are able to create a situation where they’re no longer having to worry about these things. They have more availability, and that availability can be applied to their business and generating more revenue,” she explains. TD Accounting Services uses cloud tools such as QuickBooks Online, Hubdoc, SmartVault, and Aero Workflow to help clients win back time and focus on doing what they love. Cheers, Tammatha! Teed Saunders Doyle provides accounting, taxation, and business advisory services, with expertise serving entrepreneurs, doctors and health professionals, not-for-profit organizations, and First Nations. In addition to leveraging an advanced cloud technology stack to increase efficiency, Teed Saunders Doyle also has an awesome resource center and podcast targeted to business owners and entrepreneurs. Moreover, the Teed Saunders Doyle team always looks like they’re having a ton of fun! Congrats, Rod, Alana, Jeff, and team! Congratulations to Marilyn and The Bottom Line CPA team for making our Top 50 List for five years running! Marilyn and her team continue to embrace cloud accounting tools such as Xero, Hubdoc, and Gusto in new and exciting ways. Next year, The Bottom Line CPA team has big goals for empowering their “DIY” clients – “[We want to put] cloud technology in their hands to secure the financial facts they need to drive their business forward profitably.” Keep reaching for the cloud, Marilyn! Thrive Business Services is on a mission to help small businesses prosper and flourish. They use cloud apps such as Fathom, Hubdoc, SmartVault, and Aero Workflow to offer a variety of client services. Gayle, Randi, and Amanda’s expertise has led to many client success stories, even helping one client save $75,000 per year. “With cloud technology, we are able to automate our normal business operations, which opens up time for us to provide higher-level services,” says Gayle. Congrats team – keep finding ways to conquer with cloud tech! The Totally Booked team is hyper-focused on helping their clients achieve their goals with cloud accounting technology. Kelly also understands the importance of embracing the cloud to improve internal processes – this will be a big focus for Totally Booked next year: “We will be implementing a new workflow manager, password storage, and file storage system so that our internal information is accessible to those who need it,” says Kelly. Congrats! It’s clear that Eric, Colin, and the Zenbooks team are passionate about making their clients’ lives easier with cloud accounting technology. From enabling a CEO to do expenses through their mobile phone, to helping their clients take more vacation, Zenbooks is right on track to achieve their mission of being leaders in cloud accounting technology in Canada. We’re excited to see Zenbooks continue to dominate in 2019 and beyond!